Caron Le Troisieme Homme (The Third Man) or Givenchy Insense? View Poll Results: Caron Le Troisieme Homme (The Third Man) or Givenchy Insense? Thread: Caron Le Troisieme Homme (The Third Man) or Givenchy Insense? I put forth the following poll and would love to hear your comments as much as a tally of numbers, as I adore both of these incredible masculine floral fragrances! But, which do you prefer and why? 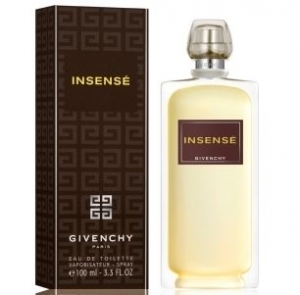 Caron's Le Troisieme Homme or Givenchy's Insense? I will leave formulations out of this, but if you want to clarify your answer by stating Vintage, please feel free to do so. Re: Caron Le Troisieme Homme (The Third Man) or Givenchy Insense? ericrico, I haven't really posted much these days; mostly I've lurked. Your posts are usually so helpful and passionate that I had to chime in here. The Third Man is beautiful, a dark floral that would satisfy even the fussiest nose in terms of quality. My problem with it is that it can be too pretty, and its dark & formal character make it difficult to wear regularly. It's such a black tie event type of fragrance. Insense is brighter, and just a bit more user-friendly. I'd have no problem wearing it to work, all season, any occasion. Both are very worthwhile additions to a collection and it really depends on what you're after. Very tough choice. Both are among my very favorites. Insense is a stark, intense, butch floral. Unlike jathanas, I find Troisieme perfect for all circumstances, it is after all a fougere with citrus, sort of a center of gravity of male frags, but with twists that make it unique: the flowers, the strange musk. I am still exploring vintages - I have yet to smell a Troisieme that is as floral and androgynous as Tania Sanchez's description: the aftershave is both more barbershoppy (as expected from an aftershave) and more floral, but it's fleeting. But I'm perfectly happy with the current version. In the end, a vote has to be given, so I chose Insense, at the moment I'm more into more straightfoward green floral. Plus, it's discontinued. Have both the original issues of these two and while I like both I prefer the Caron. Two staples in my wardrobe. I've a special feeling with Insensè but honestly couldn't live without either of these two. I wore Insensé yesterday - wonderful stuff. I'm with alfarom here, they are both rare amongst the traditional 'masculine' spectrum and I really value having both in my collection. I probably would choose Insensé if you held a gun at my head, but I have an older version - I believe it was 'brought back' and haven't tried the more recent version. Le Troisième Homme; my absolute favorite masculine! So complex--yet so few ingredients, and as a house Caron is unrivaled in perfecting the timeless masculine fragrance as wearable art piece. Le 3eme travels unpredictably (even after multiple wearings its novelty is surprising) and thrillingly through so many distinct phases yet is so herbal smelling: not synthetic fireworks in spite of its clear flaunting of synthesis. 3eme is one of the few masculines that rivals the architecture of the grandest and most classic feminines. It's a pity that such daringness brands it as edging on feminine rather than showing that it's a sort of "third gender" frag. Vintage Third Man is nothing short of a masterpiece. I've not smelled the Givenchy, so I cannot compare. I don't have a signature fragrance. My signature changes a little bit every day, why shouldn't my fragrance? I love both. Le Troisieme Homme works well for me and I find it classy and I wear it when I want to stand out in the crowd. Nobody wears it here and it has an air of mystery but I need to be in the mood for it and don't reach for it often enough. Insensè is a lovely floral for a man. I like the blackcurrant note that runs through it and it's a one off type of fragrance. I love to wear it in spring or summer with a bright shirt and a smile on my face! So which to choose? 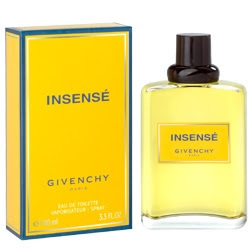 In the end my vote goes to Insensè as it's something rare- a lovely, bright floral for men. I own the second formulation of Insense and a 7ml mini of the vintage original and I love the stuff in both formulations! A very strong floral that is pretty versatile and hard to dislike. Sophisticated stuff! Smelled Troisieme Homme only twice on my hand as a test and it was good. Too less to make a vote though! Like both but my vote goes to Le 3` Homme as I wear it more often. Is it only me? I own Third Man and don't think much of it. It's nice and pleasant enough, but I've got lots of nice and pleasant scents, many of which I think are more nice and more pleasant. Insense is interesting. It took me years of sampling before I finally decided to buy it. Being an entirely floral scent, it certainly is something very different. These two scents seem poles apart to me. I can see that I shall have to try 3eme Homme; unfortunately I don't know it. I can rep enthusiastically for Insense though--amazing, dense, labrynthical floral. Is it "feminine"? Well, yes, but only in the way that every confident man should be, a little. Not juvenile or sissified in the least. Above, and yet comprehending, gender. I probably would choose Insensé if you held a gun at my head, but I have an older version - I believe it was 'brought back' and haven't tried the more recent version. Thanks for the pix, Slayerized - the one I have is the top one, Vintage. I never saw the second one around here. I always owned the first one in the "Amarige" bottle. I recall The Third Man to have been an acquired taste, one requiring persistence on my part. At first it was overwhelming. I (apparently) applied too much (3 spritzes from a 4.2 oz bottle) and suffered through an extended olfactory maelstrom. Later re-introductions involved a scant spray or two and fared much better on the Scent-O-Meter scale, but still so unorthodox and unusual as to be off-putting to me. Still later, judicious applications adhered to, it slowly educated my nose and I began to 'get' its wonder. Now I regard The Third Man as a cherished classic, although one I have to be 'in the mood' to fully appreciate the well-known opening kick and subsequent delicious drydown. Last edited by kbe; 3rd September 2012 at 05:26 PM. As said, I own both, but the vintage only in 7ml mini and the second in 100ml. Vintage is imo slightly better than first reformulation. Main difference are the aldehydes having almost disappeared. For the rest it's pretty the same smell with equal longevity and sillage. The second is also where Turin based his 5 star rating on if I read the review correct. Is Insense feminine? My wife doesn't think so. And she is pretty adamant on such things. But when I put on the similarly ultra-floral Trumper's Fougena she tells me she dislikes me wearing such a feminine smelling scent, and has banned me from ever wearing Fluer du Male as way too girly. Great input from so many people - I love the shared personal experiences as I wanted to pick two masculine florals that really breakdown barriers for a lot of men (but are different in composition)! Alfarom - no guns to the head...as I concur with you that both are absolute 'staples' in my wardrobe. I wear Caron's Le Troisieme Homme more frequently and have both current and Vintage formulations. My bottle of Insense is Vintage. The endearing qualities of each are different. I, personally, am not voting in this poll, as I find them each to be absolutely wonderful in their own right. Last edited by ericrico; 22nd July 2017 at 01:37 PM. I'm female and tried on vintage Insense on one arm and vintage 3eme Homme on the other today. The Insense acutally struck me as less androgynous: bit more hints of traditional cologone make it closer to today's definition of masculine. I tried on Eau Sauvage also and found it the most wearably feminine of all three. 3eme, like any Caron other than Pour Un Homme, is very much its own entity (it wears you, but IMO, in a good way) and isn't really affected by the gender or presentation of the wearer. This is a close call... like asking who do you love more? mum or dad?... i have both and love both, but i think The Third Man has something more. ... And do me a favor - don't disturb my friend. He's dead tired. Thank you, humbly. I appreciate, respect and value your input here. Although we may not share the same, exact perspective - I try to "look" at these bottles of olfactory art as objective as possible in these types of threads. I learn from you and everyone who chimes in here. I fully concur with your final point - "Both are very worthwhile additions to a collection and it really depends on what you're after." Another great addition to this thread, although jathanas has a very interesting perspective as well...I love the subjectivity and "how" one relates to scents that take us outside of what is mainstream. We are all sharing here - that is far more important than the voting tally! Caron Pour Un Homme or Le Troisieme Homme (The Third Man)? Le Troisième Homme de Caron- What a find!